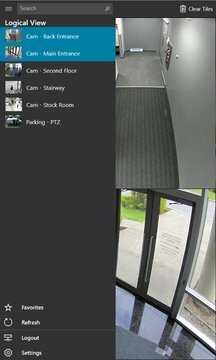 With Genetec Security Center Mobile, security personnel can remotely monitor their video surveillance systems from their Windows 10 devices. Whether working on routine tasks or responding to a critical situation, operators can now have up-to-the-minute video feeds, while away from their workstations. Now with Windows Continuum, operators can enjoy an optimized viewing experience where their display can scale smoothly when switching from one device to the next, going from desktop to tablet to smart phone. Security Center Mobile preview apps offer customers early access to our next generation mobile applications, and allow Genetec to obtain continuous feedback on app development. Through this process, new features are added regularly, in order to deliver the latest enhancements to Security Center Mobile app users.